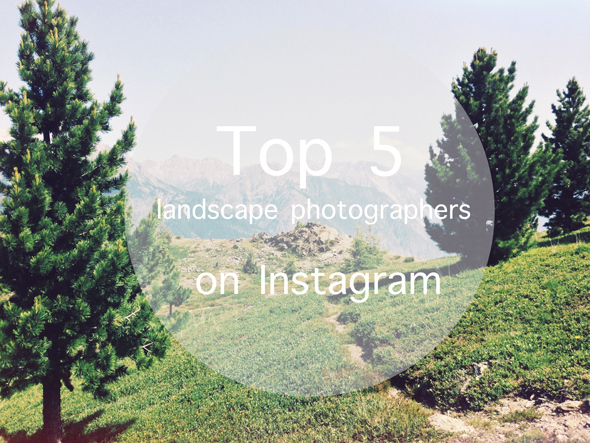 Top 5 landscape photographers on Instagram | go do. Instagram is one of my favorite apps at the moment. It feels a lot more intimate than Twitter and I am always stardled by all the talent i see. Although people start to share non-smartphone images on Instagram more and more, it still shows that photography (and art in general) is NOT about the tools. A good photographer can take a great image with an iPhone, a toy camera or the expensive equipment. For me, Instagram is about a lovley bunch of people that I enjoy to follow along and not about the (not so great) filters. The most talented iPhone photographer I have discovered yet – great landscape photography and beautiful editing. Australia at it’s best (with a lot of sunrises and sunsets too ). Beautiful portraits of New York City. Silent places I’d love to visit too. Creator of Afterlight (the photo editing app) and very talented photographer too. Beautiful images from his travels and the city of Tokio. WOW, winter at it’s best on this stream. Awesome timelaps videos and the most beautiful landscapes. PS: Find me on Instagram too (eva_thoeni)! I will share more about my favorite photo editing apps in another blog post soon.